More than 50% of patients suffering chronic illness do not take their medication as prescribed. This leads to poor patient outcomes, disease progression, and an estimated burden of $100B - $300B1 annually in avoidable direct healthcare costs in the US alone2 , and a $564B burden globally3. Adherence is a measure of the extent to which a patient follows a plan agreed upon with their health care provider for the treatment of their health condition. Non-adherence means that patients can struggle to balance their need to take medications against the other demands in their lives. We create technologies that address this problem. The HailieTM Solution (previously known as the Smartinhaler™ Platform) is the world’s most clinically proven asthma and COPD medication adherence solution. Invest in the future of medical. Adherium is a global leader in digital health technologies, providing patients suffering from chronic disease with solutions to help monitor and achieve optimal adherence. 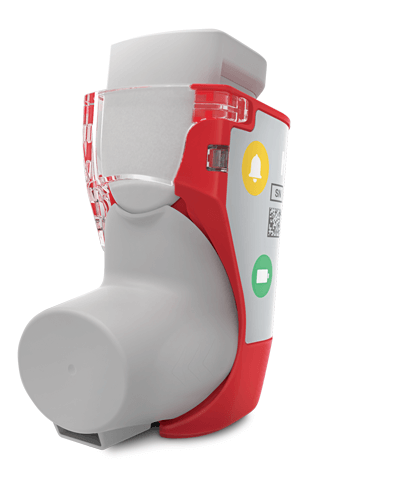 Clinical evidence shows that the use of HailieTM technology (previously known as Smartinhaler™ technology) in asthma substantially increases adherence for preventative and maintenance medications and reduces severe exacerbations in adults and children. In 2014, global sales revenues in excess of US$36 billion were directly attributable to asthma and COPD. Substantial market opportunities therefore exist for technologies that demonstrate improved adherence and better clinical outcomes, while also potentially optimising the commercial performance of those global pharmaceutical companies that adopt the Hailie™ solution.